Applications for membership to ProSPER.Net are currently being accepted for 2018. Membership is limited to higher education institutions located in the Asia-Pacific region that offer postgraduate education and research in sustainable development and in education for sustainable development related fields…. 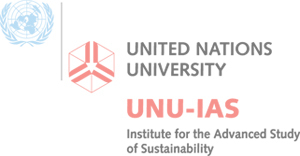 The United Nations University Institute for the Advanced Study of Sustainability (UNU-IAS), and the ProSPER.Net Secretariat held the 2018 ProSPER.Net Young Researchers’ School (YRS) in Kanagawa, Japan, from 4-11 March 2018.